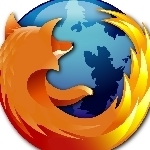 20 steps to a fresh, clean reinstallation of Firefox. Remember the days of Windows 95, Windows 98 and even Windows XP — all of them benefitted from a fresh, clean reinstall occasionally. Firefox does to. Sometimes, that seems to be the easiest, or only, way to solve a probem. So, when Firefox starts misbehaving, if you can’t solve it any other way, try a fresh, clean reinstallation. There are a few steps, but most are aimed at being able to get back to the Firefox you had before. Although you could copy your Firefox profile and then use it, that’s probably where some of the issues are. 5. Select where you want your backup stored, and the name for it. This will be a .json file. (Do not save it in C:\Program Files (x86)\Mozilla\Firefox because you will delete that folder in a later step). 7. Select where you want your backup stored, and the name for it. This will be a .html file. 9. The same menu is where you can restore from the .json backup or import the HTML file – just don’t do both! 10. Now, click on Tools > Add-ons. This is so you can make a note of the add-ons you have installed. Terry's Computer Tips Firefox. permalink. I had to do a repair with the windows 7 disk, and lost all my bookmarks on firefox. I did try look for then, but with no luck. Do you know how I can fine them. Yep, I got no idea………………….